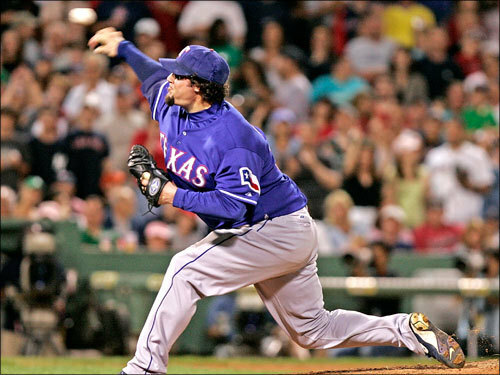 The Red Sox made a splash at the trading deadline by dealing for Texas Rangers reliever Eric Gagne. Boston sent lefthander Kason Gabbard and minor league outfielders David Murphy and Engel Beltre to the Rangers. Once one of baseball's premier closers, Gagne joins a Boston bullpen that already has two All-Star relievers: closer Jonathan Papelbon and setup man Hideki Okajima. Scroll through our gallery and give us your take on the trade.